Continue reading for more information on this event! From the event homepage - "PROJECT: Hunters 2017", including wallpapers! In the shadowy depths of the city, you are either a hunter, or you are prey. Earn exclusive loot by completing missions, and eliminate your targets in the new 3v3 deathmatch mode: Overcharge. 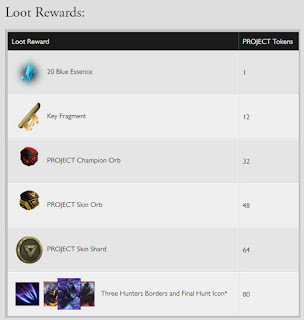 There is also an in depth post on the PROJECT: Missions - "Learn More | PROJECT: Hunters Event"
"PROJECT: Hunters, the 2017 PROJECT event, will be live until 12/4/17 at 11:59 PM PT. 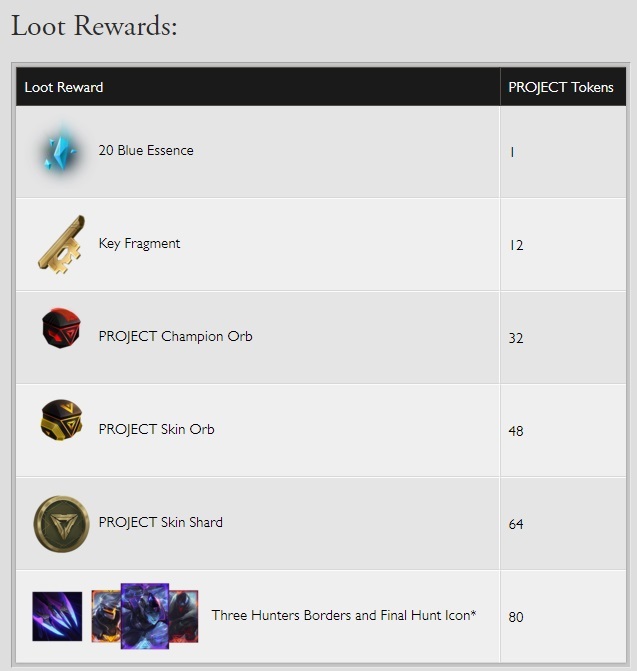 Complete missions to earn PROJECT Tokens, then craft event-exclusive loot with those tokens. 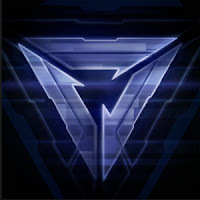 Win a matchmade game to complete the “Prologue” mission, which will grant you the PROJECT: Hunters Icon and access to three event-exclusive mission lines. 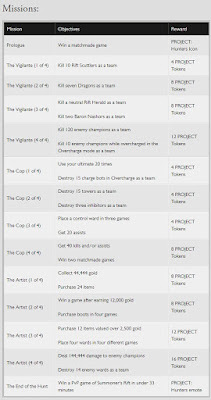 Each mission line (The Vigilante, The Cop, and The Artist) consists of four missions, each with different objectives. 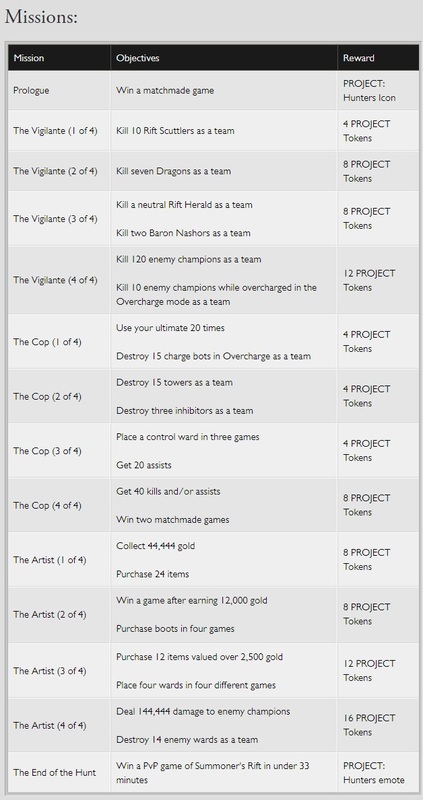 All missions award PROJECT Tokens. 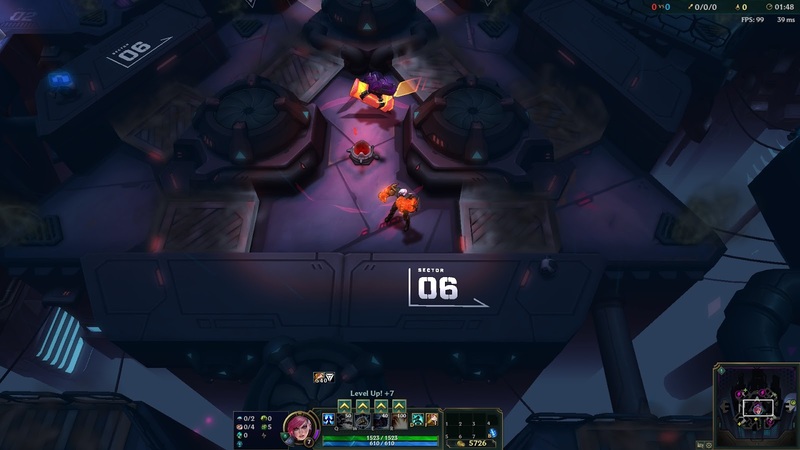 You can work on all three mission lines simultaneously, and games of Overcharge will count as “matchmade” games for missions. 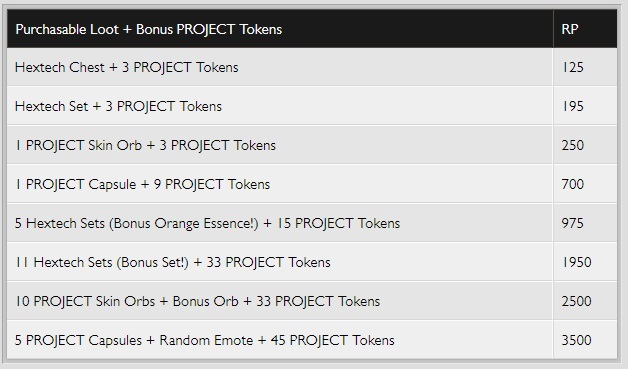 Completing missions rewards you with PROJECT Tokens, which are also bundled as bonuses with purchasable loot. Tokens expire from inventory on 1/8/18 at 11:59 PM PT. 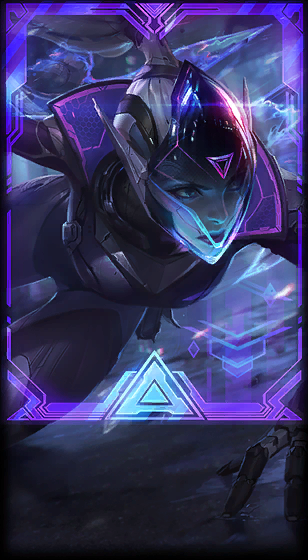 *The Hunters Borders are special loading screen borders for PROJECT: Vayne, PROJECT: Vi, and PROJECT: Jhin. 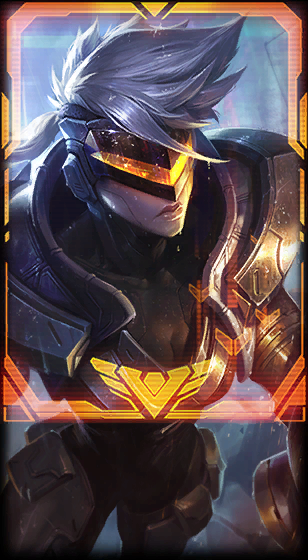 You don’t need to equip this specific icon to show the borders. 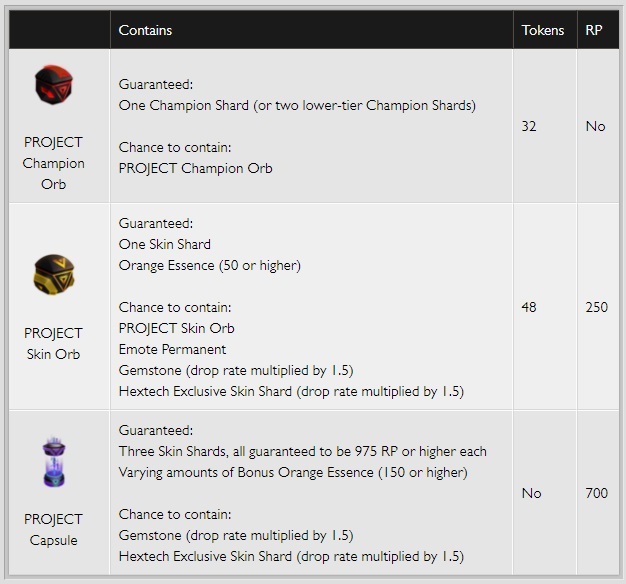 The PROJECT Skin Shard contains a skin shard for a random past PROJECT skin. It does not include shards for PROJECT: Vayne, PROJECT: Vi, or PROJECT: Jhin. 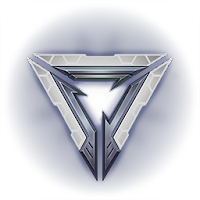 Complete the final mission (“The End of the Hunt”) to unlock the PROJECT: Hunters Emote. Good luck, and happy hunting." 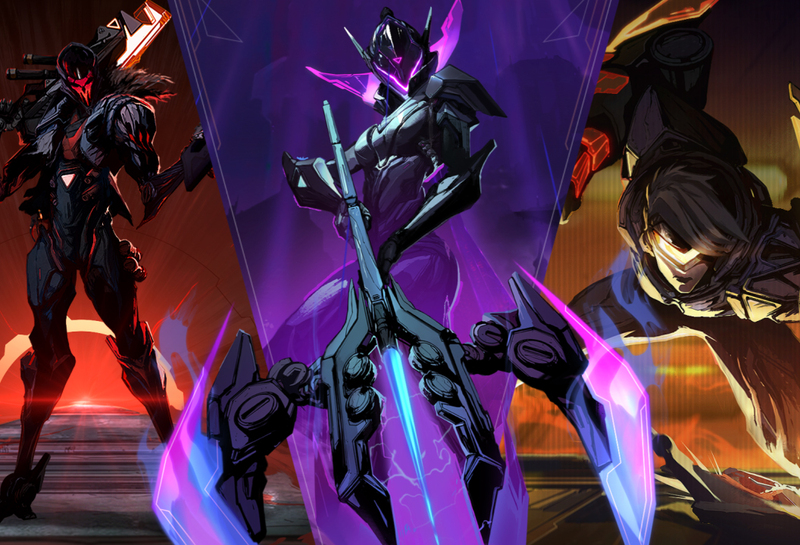 Three new PROJECT skins are now available - 1350 RP skins for Jhin & Vi and 1820 legendary skin for Vayne! 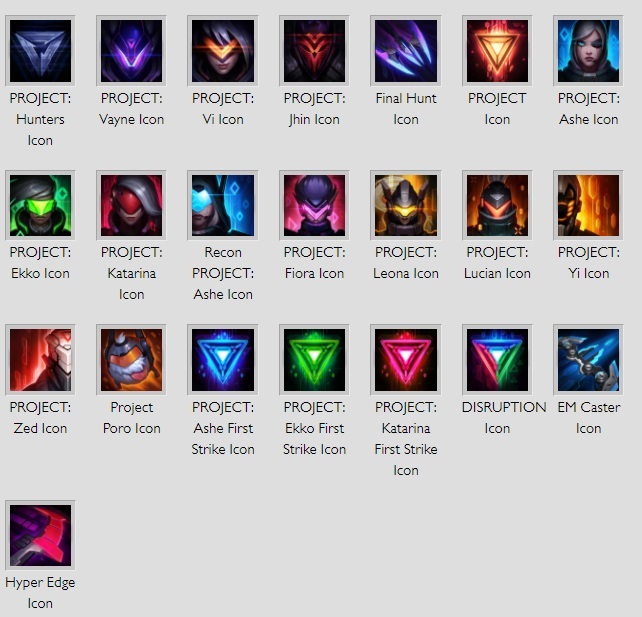 Several new summoner icons featuring the new PROJECT skins will be available during the event! The new PROJECT Overcharge gamemode is now live! 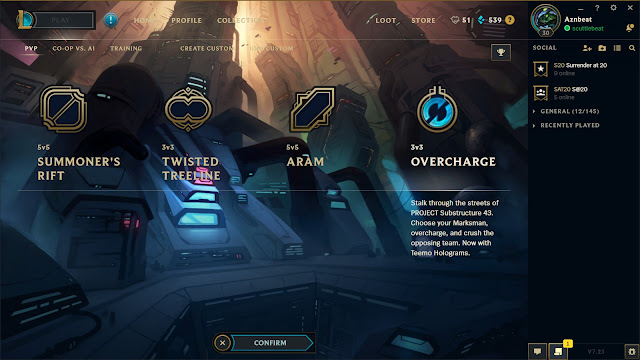 The PROJECT: Login theme will be featured on the client during the event! A new story set in the PROJECT: universe was released with the event. Check out Of Rats and Cats and Neon Mice! The doctor stumbles on the slick bridge. His hand reaches out for the worn guardrail as his foot loses connection to the wiring in his ankle. For a moment, he is disoriented. His vision slips from the wet floor plates of the commuter overpass to the unending assembly of metal, glass, and perpetual light that is Upper Central. Also a size and a half too big, his own mind echoes back sourly. The mod is a belittling, secondhand thank you from a rich upper-sector patient too scared to pay traceable credits to his back alley physician. The doctor has scrubbed the processor half a dozen times since acquiring it, but there are still old impressions trapped in the silicon, like a fingerprint that can’t quite be rubbed off. He grunts and shakes off the recollection. It is a discomforting reminder of what happens when common anatomy tries to plug into technology above its pay grade. Water drips through the strands of the doctor’s thinning hair and gets behind his micron-glasses, blurring the lights on the far side of the bridge. Condensing moisture hadn’t been listed in the morning’s announcements. Then again, the doctor hadn’t been prepared for much of what landed in his lap today. He pets the bio-inert plastic sleeve in his breast pocket. Weapons grade. Enough for the retirement he had promised himself twenty revs ago. The doctor is alone on the thick span of metal and fiber-reinforced plastic that connects the lower sectors to the mechanized lifts of Upper Central. The commuter crowd he had come down with has disappeared quickly into the darkened stalls and shaded side alleys of the transition market. He grunts again and tries to hurry, continuing his hobbled pace across the bridge. He wipes a hand over the wetness now running in rivers down his face. He is old, but even he isn’t old enough to remember real rain—only this sad concentration of a hundred million organic breathing cycles stacked one top of another. The magnetic thrum of the lift behind him slows as the doors prepare to release a new tide of enhanced humanity into the market mazes. The doctor gives his retirement package one more pat and ventures a quick look back. The pneumatics hiss open, revealing the elevator’s darkness and a sea of unknown faces. The doctor releases the breath he was holding. “Transition level. Proceed with caution,” a digitized voice announces. The crowd engages their light shades and pulls up hoods of synthetic duvetyne to shield them against the drizzle and Upper Central’s oppressive glow. Like well-trained mice, they scurry eagerly onto the bridge. And that’s when the doctor sees it: a predatory metal shadow that stands a head taller than the surrounding crowd. His breath fogs his glasses in a growing rhythm of panic. The shadow steps into the ambient light. Its lean shape is all dark, wiry muscles of carbon fiber braided over heavy servos. His jet-colored chest plating swallows the glare from above. The doctor recognizes the matted fur collar, coiled like a feral cat, around a neck of dark, anodized steel. But it is the contours of the shadow’s featureless mask, defined now only by the drip of falling water and the reflection of the pulsating holo-signs, that rattles the doctor to his inadequate, common bones. The doctor tries to back away. He slips again on the metal plating. The flesh of one set of knuckles scrapes on the handholds of the bridge as he catches himself. The crowd, focused only on getting out of the wet and the light, pushes the doctor down, indifferent to the fear that is choking him. The doctor scrambles on his hands and knees. Real and metal feet crush his fingers into the bridge grating. He can’t keep up. The swarm of people giving the doctor cover begins to thin, exposing him to his pursuer. He wipes the moisture from his eyes with shaky hands, his glasses lost in the chaos. Blood mixes with tears. His vision clears for a moment; the sight of a moisture converter promises salvation. The vent is belching murky clouds of stale, humid air from the lower sectors. He reaches the sanctuary just as the last of the crowd breaks away. He cowers, wheezing through barely parted lips. The labyrinth of the transition markets is just a few meters away. If he can make it there he can disappear, away from the shadow that haunts him. The moisture converter slows its labored breath. The last commuter vanishes into the transition market, revealing a mirror-glass display in an abandoned stall. In its reflection, the doctor watches the metal shadow raise a long pulse rifle to its shoulder. The faceless mask winks to life in a pixelated slash of angry red. The doctor tilts his head up to the glow of the upper sectors—anything to escape the focus now taking aim. He squints his eyes and begs, but the neon future is not listening. Especially not to such a small and solitary creature. Through the rain, the doctor hears the unmistakable metal click of the pulse rifle’s safety. His hand goes to his chest, shielding the one real treasure he carries. Through the plastic sleeve of the package, he can feel his heart racing. As the unflinching light from above bears down on him, it fills the doctor’s animal brain with one last mortal thought. There is nothing the future will not take. At my last performance hearing, I asked the reviewing officers what it took to make it in Central. One of them said you had to be ready to trade a piece of yourself—that every upgrade would take you higher up PROJECT’s command line, but would cost some more of who you were in the bargain. Rather bluntly I told them I didn’t think anyone in their right mind would pay that kind of price. Not for a little clean silicon, and a fancy logotype. They all laughed. And then they promoted me. Now, the image in front of me wavered as a ribbon of static washed through it. The tri-dimensional hologram of the doc’s body was suspended in what would be his last living moment. His face was tipped up to the sky, his features a mix of fear and acceptance. Centimeters from the back of his head was an arc of red from a pulse rifle. Another tick or two forward in time, and the concentrated plasma would melt a hole through the man’s head. Mosley, my newly assigned partner, stretched and yawned. What could have been muscle in his early years had lost the fight against gravity and sagged down to his middle. Fighting crime behind a desk had ensured he hadn’t missed any nutritional breaks. But he sure is hungry. I noted for the third time that Mosley couldn’t keep his eyes off my promotion data cube. My new captain had plunked it down on the desk that morning for me, tossing in her hearty congratulations and my new beady-eyed partner. I watched as Mosley finally gave in to his greed. He picked up the small cube off the vid desk and tossed it absently between his soft hands. “You still haven’t installed these new subroutines yet?” His voice was artificially light as he fidgeted. My ATLAS gauntlets were on the desk. They were the bulky, standard issue of enforcers in the lower sectors. Most recruits upgraded double-quick to something that put more distance between them and whoever they’d been told to bring in, but I never minded getting close. Their blunt power fit me like a glove, too, and with no permanent install there was zero chance of someone else’s memories wandering around in the wiring. Still, I had gotten a few looks during my Central training-check, but the signing officer stopped smirking when my right hook caved in the chest of a titanium test dummy. I ignored him. In the lower districts, our bad ends didn’t usually involve cranial de-ionization at a hundred meters with an unregistered pulse rifle. This had been a professional hit. I turned my attention to the A.I. in the room. “Specify time increment,” the artificial voice taunted. Even the vid-scanner didn’t seem to want to get with the program. I could feel the rough edge of frustration vibrating through me. I had only been clocked on since 0600, and the upper sector regulations were already more annoying than wading through knee-high scrap in the assembly levels. What I needed was a good chase. Maybe hit a few things along the way. That would have been just fine. I grunted and blew the loose hair out of my face. First day, Vi. Best behavior. Make friends. Do not punch anything. I repeated my morning’s mantra and took a deep breath. “Three—no, four ticks,” I told the machine as patiently as I could. The image wavered again, this time the holographic model clicked back ever so slightly. I tracked the light ballistic as it entered the range of the security feed outside the elevator. Inside the lift was darkness. The security feed there had been tampered with. The spark of light that hung in the air was all I had to go on. “Based on ballistic entrance, extrapolate height of suspect and weapon type,” I said. Lights flickered in the dark, humming as the calculation churned. A polygonal outline was traced in thin rays of neon. The killer was on the tall side… but other than that, I didn’t have much to go on from the rendering. “Query error. Restate question.” I wondered if the A.I. had been programmed to be patronizing. Or perhaps this one had taken on personality traits of its maker. The half-hearted consolation had me gritting my teeth. I looked up from the simulation at Mosley. I couldn’t blame him. Most of his attention was still focused on my data cube. “So are you gonna install this or what?” he asked. I shut off the holo-vid. I wasn’t going to get any more useful data out of projected light. “I don’t trust upgrades,” I said quietly. It was clear Mosley wanted it. I rubbed the back of my neck. “I just had one, less than a cycle ago,” I lied. “Don’t want to overcharge.” I picked up my old gauntlets off the desk. “Besides, these still work just fine.” I held out a hand for the data cube. The strain of social politeness glistened over him in a fine sweat. I figured he was fighting the urge not to shove the subroutines in right then. But he just frowned, and handed it over. “My next upgrade is due in a cycle, if you decide you don’t want it after all…” he offered. I turned away and started walking toward the exit. “Hey, where are you going?” There was a fraction of concern in Mosley’s voice, but not much. I slipped my gauntlets on and stepped into the lift. I stared at the inoperative security sensor while the levels counted down on the high-speed elevator. Its micron-glass eye was clouded and dull. Whoever had come for the doctor knew Central would be watching. I rolled my shoulders and stretched my arms out behind me, taking advantage of the empty lift. Normally the large, boxy conveyor would be packed to the brim with Central workers with credit accounts that couldn’t afford the rent upstairs. The elevator was out of service to civilians until Central closed the case on the doctor’s death. Until I closed the case. To Mosley, an unlicensed doc’s murder wasn’t worth holding up the daily commute and the efficiency of Central’s machine. The lift accelerated and for a moment I felt weightless. I flicked the inertial dampeners off in my gauntlets out of habit, letting their mass ground me. A tick later the elevator came to a full stop and shoved me back into my body. I engaged my light shade, stepping cautiously out of the darkness of the lift and into the bridge’s ambient glow. As usual in the lower sectors, it was damp. I could feel the moisture bead on my neck where the tips of my hair touched my skin. The span of connecting metal was empty and the vendor stalls where the bridge met the market were also vacant. A commuter lift out of commission shut down all the surrounding business. No chance running into any witnesses, even if they would be willing to talk to the police. I walked out onto the bridge a few paces and turned to face the lift. Set on manual mode, the elevator and its darkness would wait for my command before returning to Central. Given the approximate height calculated, this was where the killer stood when they fired. A step more and they would have been seen by the bridge’s security feed outside the elevator. The moisture converter the doctor had tried to hide behind was nearly a hundred meters away. The killer was definitely not an amateur. I looked at the deck plates of the bridge. There were a few scrapes in the metal. I crouched down to take a closer look. They were recent. Anything more than a day or two would have more noticeable water oxidation. The elevator and bridge had been closed since the murder. I scanned the depth, a string of numbers appearing in the bottom corner of my light shade. If the marks had been made by the killer, then that individual was significantly heavier than a normal augmented humanoid. I could almost hear the sector bulletin now. Central reports chop-shop doc vaporized by armed auto-laborer, or something equally convenient. An irregular air current pushed my wet hair against my face. Out of the corner of my light shade I could see the bridge was still empty. I sniffed. Ozone. The muscles in my shoulders tensed. I flicked the charging coupler in my gloves on and let one knee drop to the deck plating. “You know, level six continuous stealth in a public commuter space is a violation of Central municipal codes,” I announced to the empty air. A puddle of water trembled slightly in front of me. The vibration of power built inside my gauntlets. I launched one metal fist in a heavy uppercut, connecting against something solid. The smile barely had time to uncurl on my face before the wrist of my leading glove was caught in an unseen grip. The momentum was too much. Locked in a tumble with an invisible assailant, I hit the metal grates of the bridge hard, my body paneling barely absorbing the impact. The air wavered as my new friend uncloaked. On my back, I squinted to get a better look without the halo of light from above. It was a woman in weapons-grade elastomeric body armor. Long photon-bleached hair was gathered up in a tight tail, giving her a severe look. The light in her eyes was cold, and her wrist-mounted crossbolt was pointed directly at my forehead. “I’m gonna guess that’s not registered,” I groaned as I sat up. The woman’s lips were held in tense concentration, as if she were calculating the solution to some mathematical equation. Probably finding the quickest one that ends in my death, I figured. Her voice was a digitized growl, but I thought I heard a note of curiosity now that she had the upper hand—or rather, bolt. “I have a need for it,” she interrupted. “You can try,” the woman said, her crossbolt still aimed at me. I decided she wasn’t the type to joke. I looked more closely at her suit and weapons and changed the subject. There wasn’t anything standard issue about her, but she still contained the one constant in Central: in the end, everybody wanted a piece of somebody else. Before I could respond, a call came over my private comm. Static filled my earpiece. A pinprick of light showed up six sectors down. “The Heap’s a little out of Central’s jurisdiction, Mosley,” I sighed. The Heap wasn’t so much a place as a rathole of unsavory outcasts. It was hard to track, as the congregation was seldom in the same spot for more than a cycle, mostly due to the fact it took residence in condemned structures about to be refactored. It was an easy place to pick up unregistered hackers, black market weapons, or “gently used” off-cycle upgrades. We tolerated its existence in the lower sectors because it made it easy to round up suspects when you needed them. But it was also an easy place to get yourself permanently wiped if you weren’t careful. The connection clicked off abruptly. I hit the bridge with a gauntleted fist, denting the metal grating, and looked up at the weapons-grade mystery still standing over me. Her crossbolt hadn’t moved a micrometer. I got up, taking my chances that she probably wouldn’t shoot me. An arcing crackle and a waft of ozone turned me around. A personal combat hyper-cycle decloaked. The humid air was starting to condense into rain again, but the water repelled off the bike’s black aerographite panels. I could feel the pulse from the magnetic drive as she started it up. I looked into the woman’s eyes. She could have just shot me and taken what she wanted. “I don’t trust upgrades,” I said. I walked over and settled myself behind her on the bike. Six sectors passed in a blur of vertical neon. I tracked Mosley’s position in my light shade to keep from vomiting my last nutri-pack all over the back of Vayne’s pretty ride. Vayne stashed the cycle on a fire egress overlooking the Heap, the only tell being a faint, acrid tang lingering in the air. I watched the coming and goings of the evening crowds through a pair of ultra-V binoculars. It was busier than usual. It looked like someone rang the dinner bell for every mangey tomcat in the neighborhood. I shrugged and walked around the back, examining the building’s structure for the non-load bearing walls. The building was condemned and I needed to be careful. It wouldn’t do Mosley much good if I brought the whole thing down on top of him while he was still inside. I zeroed in on a sweet spot and charged the coupler in my gauntlet, hitting the wall with every kilogram of the day’s frustration. The old carbon honeycomb crumbled with two solid hits. The hole was big enough to pass through in three. I brushed off the bits building as I stepped through into the darkness. I had gotten lucky. It was a storeroom stacked floor to ceiling with aftermarket limbs. None of them looked remotely clean. But then again, actually buying personal upgrades fresh off the factory line was something for people in the sectors far, far above us. I pushed aside some plastic sheeting to reveal a larger room pulsing with dim blue and violet fluorescents. The bass-heavy music vibrated in my chest plating. I gestured to a raised seating area. “That him?” Vayne had hacked my internal comm and privacy-linked it with hers, so I heard her voice clearly in my mind. It was still low, but lacked the artifacts of her voice processor. She nodded at a bulky shape seated by himself at a low-light table. Vayne smiled. I looked over to see Mosley’s beady eyes reflected in the soft glow in front of him, and nodded. I let just a little bit of energy cycle through my gauntlets, lighting the broken flooring in pools of orange. The Heap residents in front of me knew those lights and stepped aside with no questions. I pulled a chair over to Mosley’s table. The table light flickered and I noted that the booth had also recently served as a makeshift medical bay for neural surgery, evidenced by the small bucket of teeth sitting next to Mosley’s drink. Those without Central sanctioned data ports jacked into whatever nerve bundles were available—the ones beneath the molars were especially easy to tap. I leaned forward, putting both gloved fists on the table, nearly upsetting the tooth bucket. I flipped my light shade up so I could look Mosley in his real, fragile eyes. The knuckles of my gauntlets itched with unspent energy. 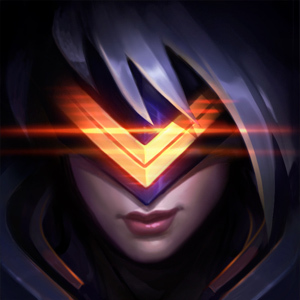 “Where’s your buyer?” Vayne scanned the crowd of miscreants milling around. A thin beam of red light flicked on, centered directly on the hollow of Mosley’s chest. I looked over to see Vayne’s face had erupted into a snarl. Every lower sector enforcer knew that voice pattern. 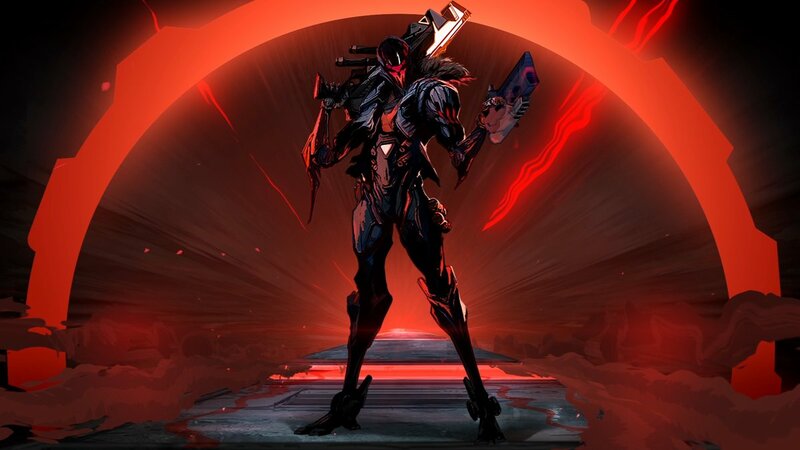 “Jhin,” she growled. 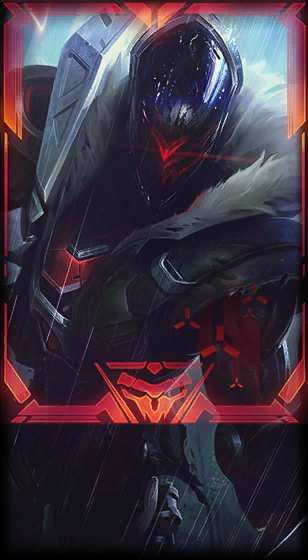 “Jhin? Your buyer is Khada Jhin, Mosley?” I looked at the simpering fool that was my newly assigned partner. He nodded meekly. Jhin was a notorious augment hacker with a taste for high-clearance upgrades. Word was, he had been a black-market tech that had almost gotten completely wiped in a rough job. Severe personality fragmentation. Last bulletin I downloaded said he’d been taking the shiny bits of other people ever since. Even if he hadn’t started out fragged, there couldn’t be much sanity left after so many pieces of other people had been plugged into him. 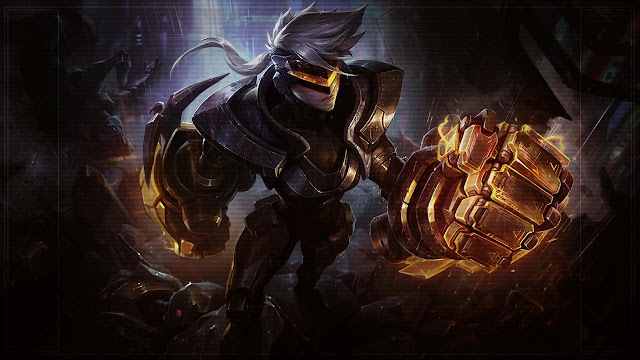 And it sounded like he and Vayne knew each other from a previous engagement. “This day keeps getting better and better,” I said under my breath. Jhin laughed. The psychopathy under the distortion sent a chill up my spine. 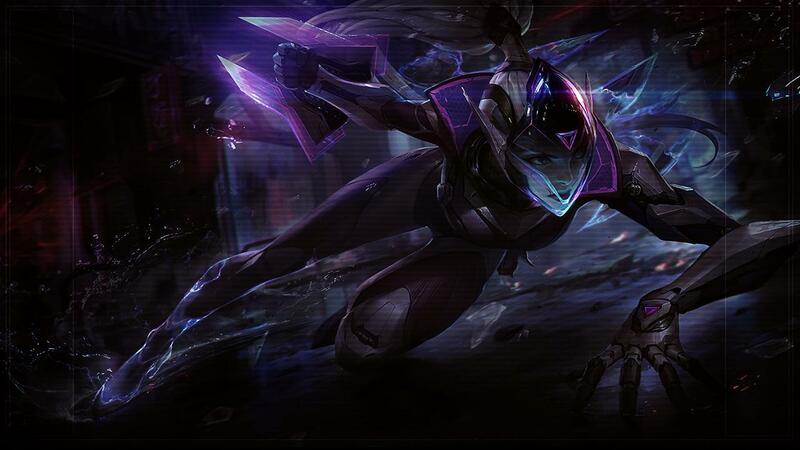 “I will break you piece by piece, you virus.” Vayne said to the disembodied voice. She was wire-taut. 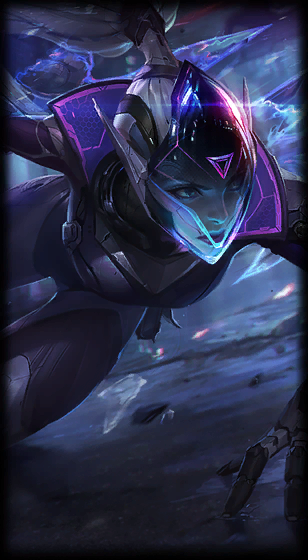 “It’s not hers to sell.” Vayne withdrew the data cube and held it up. There was a high-pitched whine as an arc of red plasma seared the air between me and Mosley. Without my light shade up, the high intensity light left me visionless. The background noise of people and tech stopped and was replaced with panic. The smell of fear and seared silicon filled my nose. My eyes teared up and I blinked to clear the neon burn. Through the after-images, I could see the knuckles of one gauntlet were singed and there was a hole in Mosley that went right on through to the other side. I didn’t need a Central forensics kit to tell me it was the same weapon that melted the doc on the bridge. 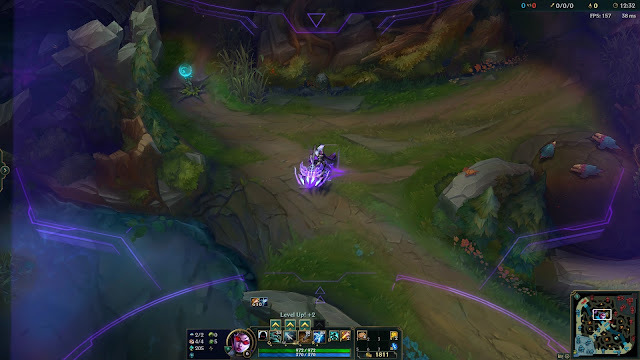 I caught the upgrade as Vayne vanished into stealth mode. The Heap was nearly empty. Nothing like a pulse of de-ionizing plasma to get people moving. I charged the coupler in my gauntlets and their amber glow lit up the darkness. 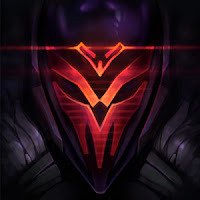 Jhin’s mechanized laugh echoed off the walls. There was a hiss of static in the crowd comm. “Ah, ah, ah, detective. A cat in gloves catches no mice,” he purred. I did not reply. I continued to advance toward his last position. A cylinder of metal shot out of the darkness. I dove out of the way—It hit a pile of debris, a small explosion ripping through the scrap, before bouncing and exploding against a second pile. “Did she tell you how they died?” I could hear Jhin’s excited breathing over the comm. I stood up slowly, to find a pinpoint of red light centered on my belly. Fifty meters away, I could read the tall, metal shadow taking aim. 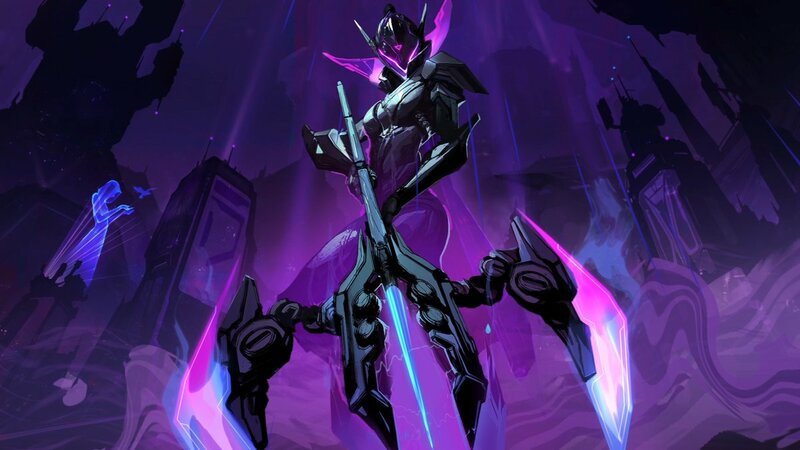 “A trap,” Vayne’s voice came over our internal link, her outline decloaking right next to him. 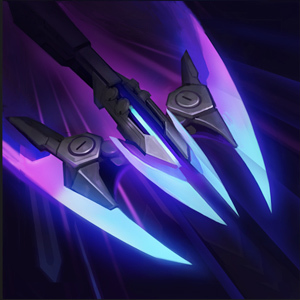 I took off at a run, watching as Vayne’s crossbolt lit the dark once, twice, three times, but each time she tumbled away as Jhin returned fire. His weapon was less accurate at point-blank range, but still blew out the nearby walls quite effectively. Vayne leapt towards him, taking the metal shadow down to the ground. I was almost to them. A digitized voice announced, “Manual override. Demolition sequence engaged. Sector refactoring imminent.” Amber lights and slumbering klaxons awakened under the grime of the condemned building. 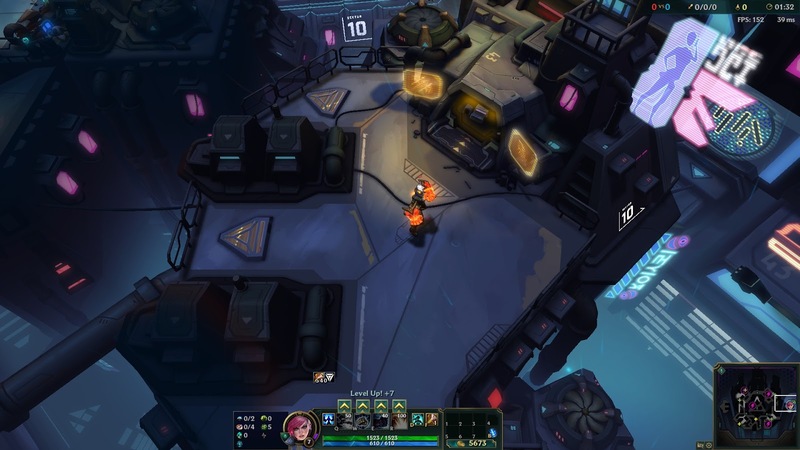 Ill-fated sectors like this one were regularly sealed and collapsed to provide new foundations for the towering structures above. I couldn’t hear if there was more to the warning, as a series of small explosions began to rip through the Heap. Metal whined as concrete supports gave way. Jhin and Vayne broke apart, and she rolled to her feet. I stopped short, completing the standoff. 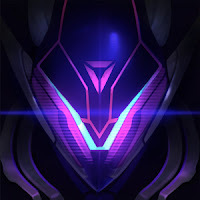 It was the first time I had seen Jhin up close. He reset a servo in his shoulder with an unsettling, mechanical pop. I don’t think there was any flesh left to the man. He had no face, only a spider-like drone seated on a neck of steel. “Go on, lieutenant. 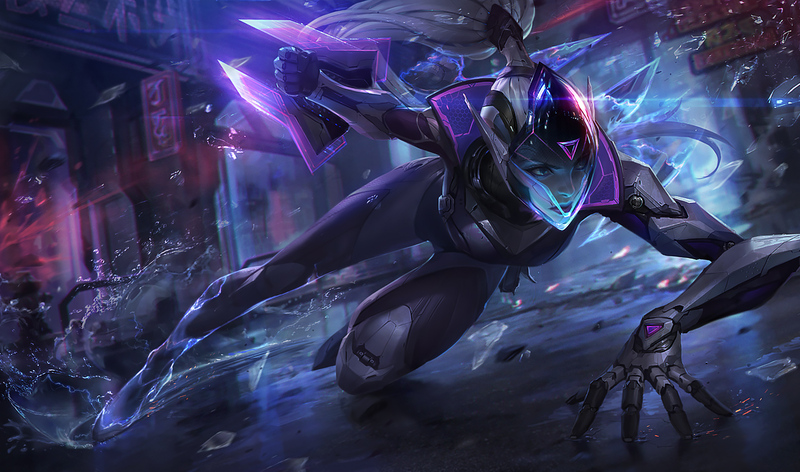 Shoot me.” Jhin opened his arms wide as if he would embrace Vayne. She unslung the larger crossbow from her back, its metal arms unfolding from the barrel. 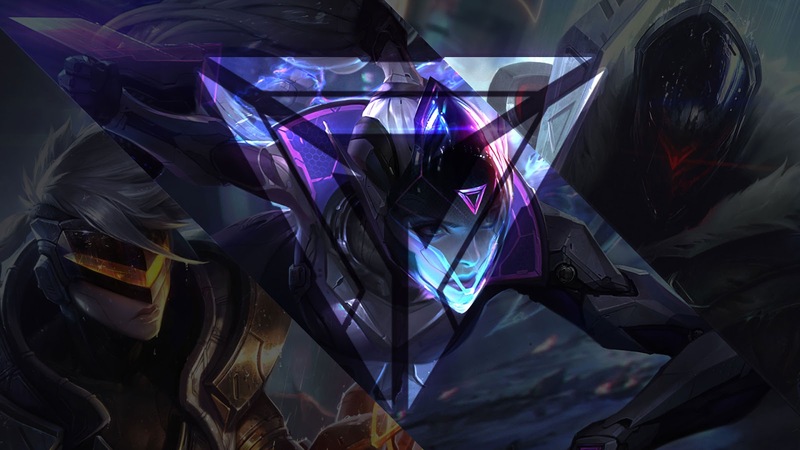 “If only I were still merely a man,” Jhin said, too calmly. She fired the bolt. It hit him in the chest, knocking him back off his feet and spearing him into a concrete column. He was pinned. 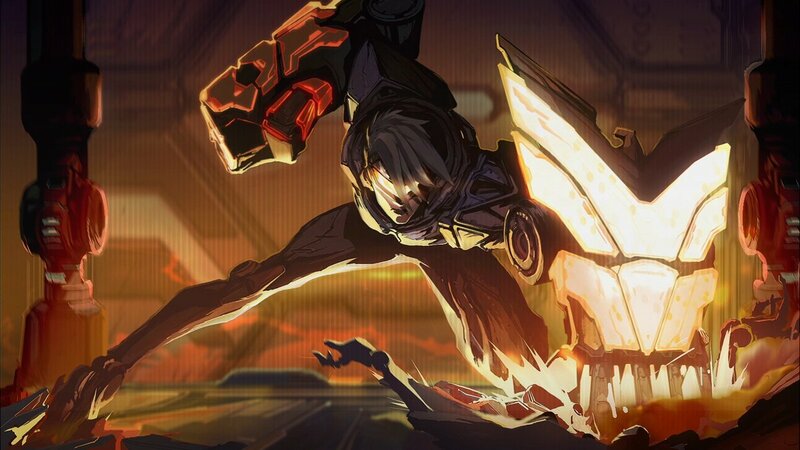 Jhin’s metal skeleton gave a shocked vibration as it de-powered. His spider-like face went dark. 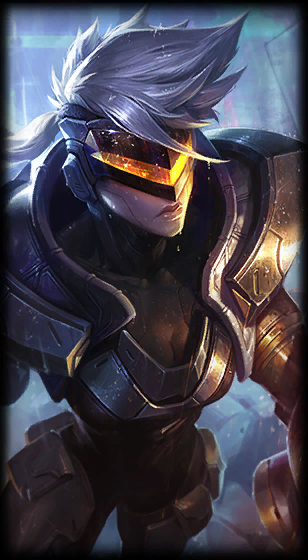 “Vayne!” I looked at her, but she didn’t see me. She didn’t see anyone but Jhin. 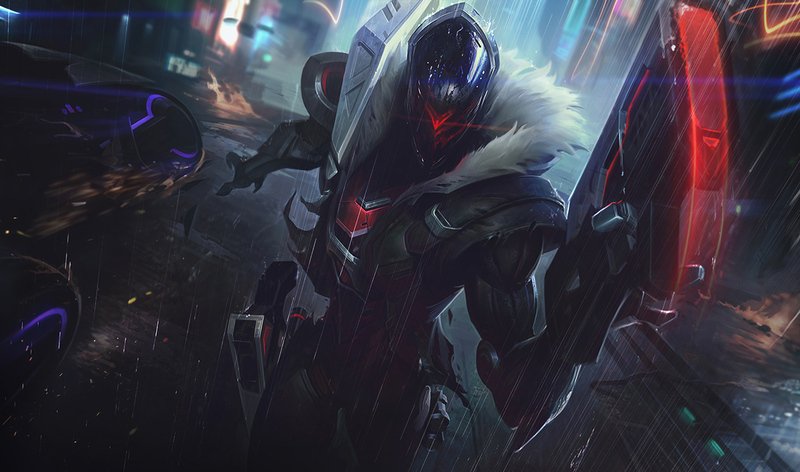 A tick later, the glossy black drone that was Jhin’s face lit up with spots of red neon. Servos disengaged and it scuttled down the body, looking to make its escape. “Smash that thing!” Vayne yelled. She fired small bolts of plasma from her wrist, but the drone dodged them with insect-like reflexes. It landed on a nearby column. I punched the concrete hard, the web of plastic mesh exploding, and the drone was launched towards the ceiling. Vayne continued shooting at the spidery thing as it skittered into a crack in the corner, and disappeared into the darkness. Another piece of the ceiling came loose over Vayne’s head. There was no time to ask permission—I tucked my shoulder and ran at her, knocking her through a blacked-out window into a neighboring structure. We landed hard, a shower of glass raining down. I watched in disbelief as the stacked weight of Central crushed the current Heap into a pile of nothing. She got to her feet, seething with waves of anger. The light in her eyes focused into points of intense rage. 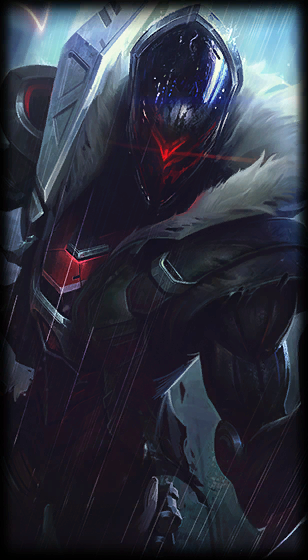 There was an arc and a hiss, and a final waft of ozone filled the air as Vayne vanished into the night. “You took a piece of my vengeance from me, detective,” her voice echoed in my mind. The area around the collapsed structure is quiet . The rough blanket of crushed carbon and bent steel crumbles, giving way to a small, insect-like creature emerging from the chaos. Black spider legs push out from a collapsed burrow. The gloss of its carapace is dusty, but intact. It turns to the cardinal directions, reorienting itself to the world. Spatters of condensation start to fall, washing it clean, but never clean enough. A tall, metal shadow steps over the rubble and kneels before the insect drone. The alloy spider crawls up a leg of braided carbon fiber, past a dusty and matted fur collar, and seats itself on the spine of anodized steel. Bathed in the ambient, ever-present glow from the upper sectors, the drone’s circuitry reconnects with its body. The metal shadow raises its arm, pushes aside the fabric panels of the vest it wears, and digs a finger into its own body plating. The probing exploration extracts a short bolt from the carbon fiber mesh. The pulsing tip is still intact. Strong fingers carefully crush the bolt’s casing, revealing a thin ribbon of circuitry. With a surgeon’s precision, the ribbon is connected to a small port behind the creature’s face. The smooth, black contours of the mask flash to life in a pattern of red light. A digital humming builds from within the metal shadow, erupting in a clipped harmonic of sadistic laughter. It echoes, bouncing back and forth across the sheer verticality of the sector until it reaches the very top. 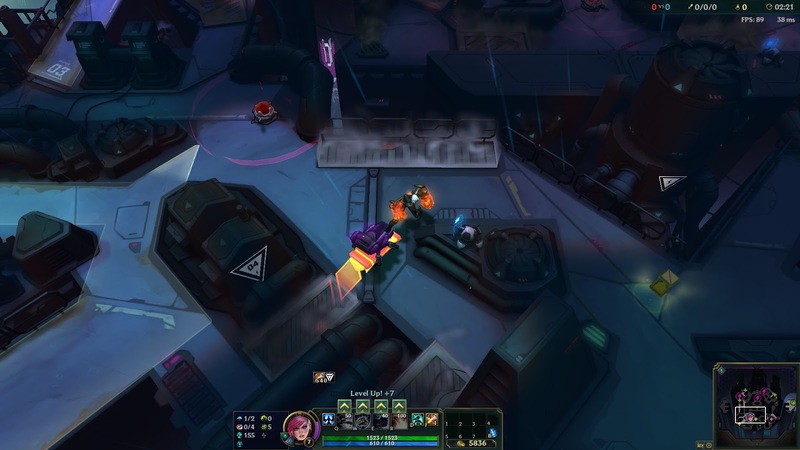 “Through my work,” Jhin whispers to the maze of neon above. “You shall transcend.”"